What’s a kid got to do to get a little respect? It was just announced over at MuggleNet that Emma Watson (Hermione Granger, The Harry Potter series) has been nominated for yet another award – an award that Daniel Radcliffe (Harry Potter, The Harry Potter Series) has won twice. I love these three kids – I think they’re near perfect casting for the Trio in the HP films. However, I honestly believe that Rupert Grint (Ron Weasley, The Harry Potter Series) is quite unfairly overlooked. Take a look at their award nomination listings over at IMDB.com. Go ahead, I’ll wait…. I’ve watched all four films many times. Playing Ron Weasley has got to be one of the most thankless jobs out there. Ron is a great character, but he has flaws that Harry Potter and Hermione Granger do not – Ron is the most human character of the trio, period. He’s doesn’t have that need to be a brave hero and he certainly doesn’t have the need to be the biggest know-it-all at Hogwarts. What Ron needs and wants is to pass his classes, play a little Quidditch and hopefully survive being Harry Potter’s best friend. He can be quite selfish and pig-headed, often misunderstanding things that are perfectly clear to almost everyone else, and he sometimes has a too-great desire for a little glory despite his frequent boughts of insecurity and his unlucky fear of spiders, be they small or giant. Rupert Grint brings all of this to Ron with a subtlety that Radcliffe and Watson could never hope to master. Radcliffe sometimes so underplays his part that I often wonder if Harry’s a bit stoned. On the other hand, Watson so over-acts that when Hermione rolls her eyes at something silly I’m afraid her eyeballs are going to pop out of their sockets. I still think they’re well cast, but their inexperience often shows. Grint gets it just right despite the underwriting of his character. Poor Ron hasn’t come off so well in the last two movies and I’ve heard that his ‘Weasley is our King’ storyline isn’t going to be included in the 5th film at all. I suppose that means Grint’s main job is going to be standing between Harry and Hermione, gaping in horror at things that happen around him while Harry fights and Hermione calculates. But I betcha he’ll be the most convincing of the three. I’m glad to hear that he (and Radcliffe) are working outside of the Potter franchise. I have to be honest when I say that I’m probably not going to go out of my way to see the Radcliffe film, but I will definitely be on the look out for Driving Lessons when it hits the US. Hopefully Radcliffe and Watson will mature into better performers, but since Grint is already at that level, I’m really looking forward to how much better he’s going to get. So, what’s with the changing header? If anyone has been visiting this blog, you may have noticed that the header seems to change every once in a while. 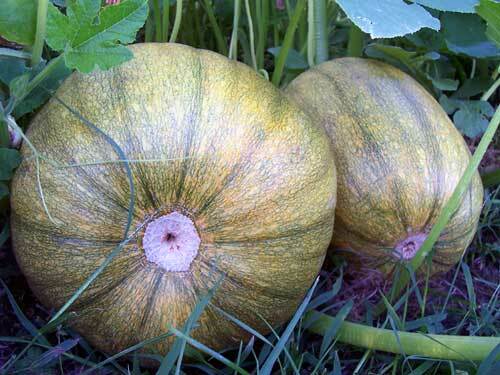 It’s always those same two pumpkins, but they seem to look a little different. 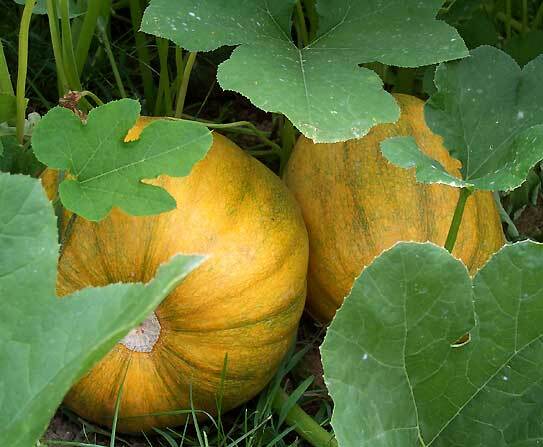 I’ve been taking pictures of the progress of my pumpkins and those two are my favorites. (Shh, don’t tell the others 😉 ). They’re turning orange the fastest and I find it a little fascinating to watch them change so quickly. Here are a few pictures of their progress so you can get a better idea of how much they’ve changed in just the past 30 days. In other gardening news, I actually had some Gladiolus bloomed. Earlier this summer, my sister-in-law gave me a box of 75 glad bulbs for my birthday. I planted every one of them. Problem was, the wildflowers bloomed first and crowded the glads so badly that the only thing they did was grow the long, green leaves. I never saw any flower buds. And to close out this post of pictures, something happened yesterday that would never have happened if we were living in Florida. I was sitting in my office when I thought I saw two large dogs running in our back field. 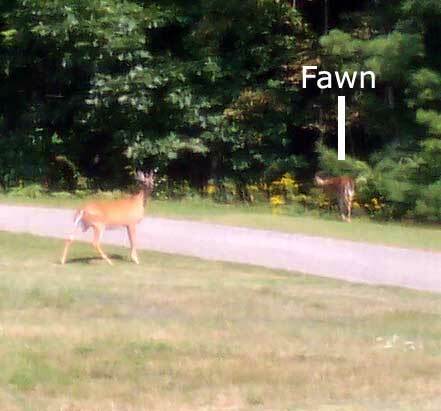 I looked closer to see if I knew the dogs when I realized they were a doe and her fawn. The fawn was still small but old enough to have lost it’s spots. They stood near the camp road for a bit, then continued on into the woods. 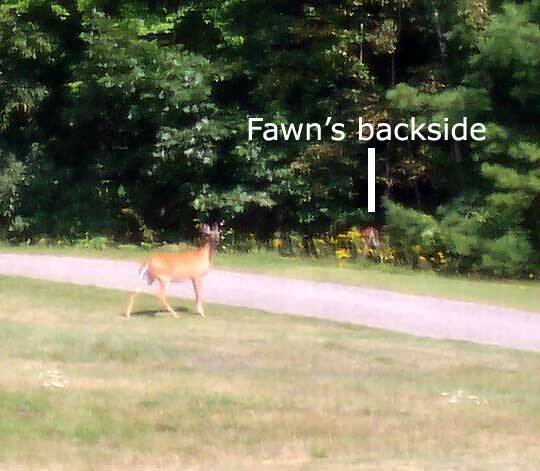 I’ve seen a deer before, but never a fawn. Sorry for the fuzziness. I was taking the pictures through a screened window. Well, that’s all for today. Hoped you enjoyed the pictures! Next weekend over the holiday Chris, China and I are going camping. We had hoped to go more than once this year, but it’s been a pretty rough summer and we’ve only planned the one trip. 2: Our septic tank decided to go on the fritz and we had to deal with that. (However, it only took me away from my book for two hours tops – there’s not much to be done but call the guys to fix it). Thinking back, that’s when the ‘bad year’ started. I mean, we haven’t had a smooth time of it since we moved to Maine but this past year has been pretty disheartning at times. Money, health, etc. Things are looking up and that’s good and I’m hoping that this camping trip will serve as a symbolic end to the ‘bad year’ that we’ve had. I’m at a new position at my job that I like better than my last position; Chris is getting more work and we were able to get him a new (refurbished) machine really cheap that will lead to even more work that he can do. 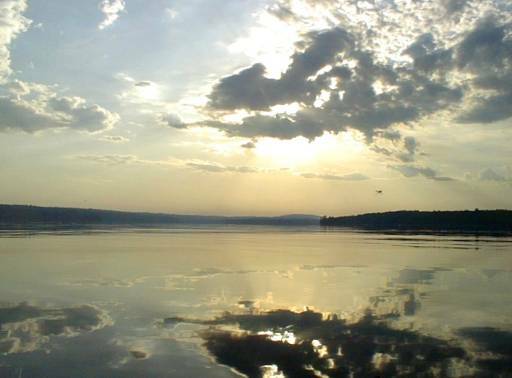 And now for your viewing pleasure, Sunrise on Sebec Lake, which is where we’ll be camping next weekend. My tomatoes are finally turning red. At least a dozen have ripened to the point that we can eat them. How many have we eaten? 3 (plus 2 cherry tomatoes). A couple of weeks ago our back field was mowed, thrashed and the hay was taken away. Therefore, the field mice have taken to eating my cucumbers and tomatoes. I didn’t mind the cucumbers that much – we had tons (and still do – our bread bowl is overfull with the green veggies) but my tomatoes! Tomatoes were the main reason I started a garden. No piece of produce tastes better than a homegrown tomato – and the few we’ve gotten have been great! But I’d like to enjoy more of them since I’m the one who’s been watering and weeding and watering. Lazy mouse buggers didn’t lift a freakin’ paw to help out! Fortunately, they haven’t touched the pumpkins. I suppose tomatoes are too easy to eat and a pumpkin would require a little effort. Lazy buggers. But I tell you, if they start gnawing on the pumpkins they’re going to find me out there waiting with a ten pound cat and a shotgun. Posted in Politics | Comments Off on Global wha? It’s going to be at least another year before the last Harry Potter book hits the shelves, but already people are speculating about what is going to happen and what questions will – and will not – be answered in the last installment of the Harry Potter epic. In book 5, Harry Potter and the Order of the Phoenix, what was it that Sirius fell through? (I personally question whether or not Sirius is dead, which is why I’d really like to know what that thing was) Additionally, why were only certain people apparently able to hear voices coming from it? Why was Nearly Headless Nick beheaded, and why did he choose not to pass on? In book 2, Harry Potter and the Chamber of Secrets, just HOW did they get that Mandrake potion into Nearly Headless Nick? Ghosts can’t eat or drink so I’m just curious. Why were Harry’s parents relatively well-off? What were their occupations? Were they professional Aurors? What did Dudley Dursley see when the Dementor attacked him in book 5, Harry Potter and the Order of the Phoenix? As the title suggests, health issues have been rather – omnipresent this past month. Chris started the month with gout. From what I could gather, this isn’t a comfortable condition. When I awoke one night to a yell and asked what was wrong, he said the sheet had touched his foot. Not the cat jumping on it (which did happen a few times, stupid cat) but a thin bed sheet. So, that finally gets better but now here comes…kidney stones! They made their prescence known about 5:30 last night exclusively in Chris’ kidneys. He tried to tough it out (he had a doctor’s appointment just the next day) but we had to go to the ER where they gave him some nice drugs and he was feeling much better. Today we saw the new Doc and she seems nice enough. At least, she wasn’t leaving the room every two seconds and she at least pretended to listen. We’ll have to wait and see if she really was listening. And poor Miss Audrey (the foot jumping demon cat) has a lump on her chest. It’s a hard little knot and it’s not causing her any pain and she’s not acting any different. I’m not too worried about it, but we’re going to have it checked out just in case. China was limping last month but we have that controlled with low dosages of aspirin. I’ve had my own health problems as well but they’re of a more personal nature so I’m not going to go into them here. It’s not been the healthiest of summers for any of us. We haven’t been able to do any of our day trips like we did last year and we’re really getting the cabin fever. The only ‘out’ that we have is our bi-weekly D&D games and Chris had to skip the last one because of health issues. I’m still optimistic that things are going to turn around, believe it or not. We are determined to take better care of ourselves in all areas and this time, we have to or one of us is going to end up dead. 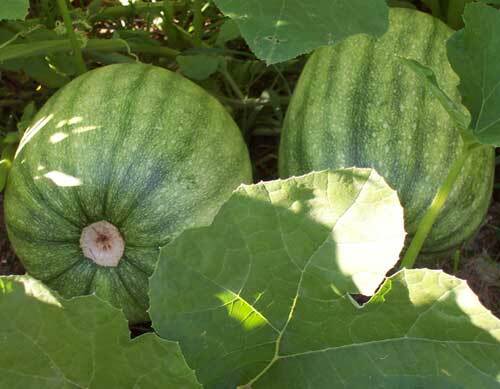 On a happier note, I now have 9 growing pumpkins, and two more that look like they’re going to take as well. I found a half-grown one tonight that I had somehow overlooked so there may be more hiding in that mess of vines. I also have some kind of rodent in those vines, too. He hasn’t eaten any pumpkins (and if he does, he’s going to find me out there in the middle of the night with a sledgehammer) but he has eaten half a watermelon and two cucumbers. As long as he sticks to the (many, many) cucumbers, I won’t go off the deep end but I love my pumpkins and if he gets one of those, I’m taking no prisoners. Still no tomatoes red enough to eat, but they’re getting close. 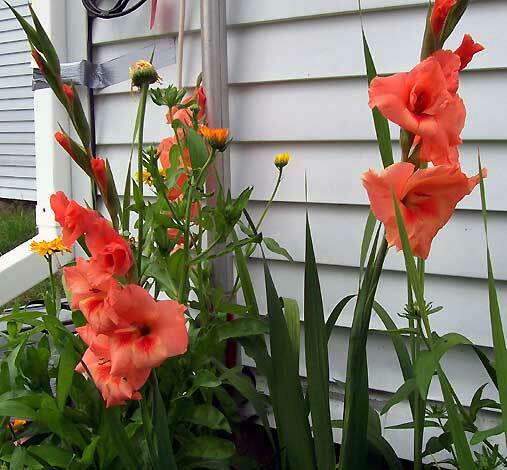 Two of my gladiolus plants have budded. Chris won that bet. Most of them have only sprouted leaves, though. I crowded them with too many wild flowers. Next year, they’ll get a section of their own. You are currently browsing the Brandi\'s Blog blog archives for August, 2006.